Here we have joined the old odds and ends of the crumbled and broken up pallets to attain a beautifying DIY pallet wall art out of them. 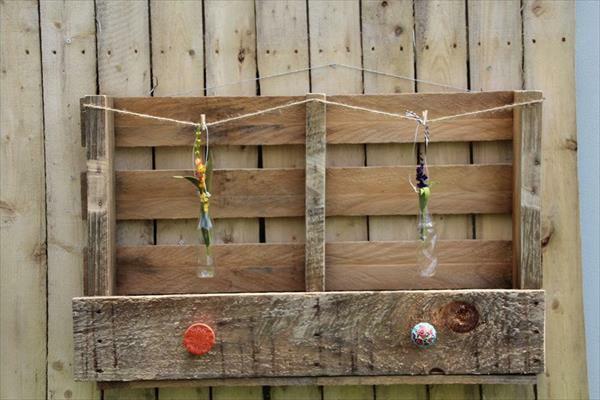 These wooden cut offs were left in the previous DIY pallet project and have been creatively used to put out a DIY pallet rack for hanging needs too. We have used the old home scrap material and some old home decors item to give this rustic wall art a perfect garnishing. 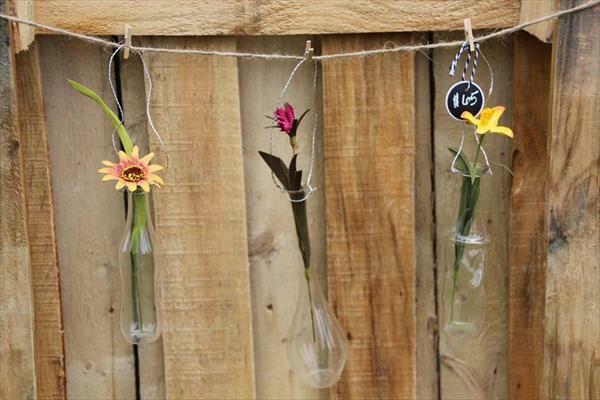 Two porcelain knobs and two mini flower vases have been attached that contain artificial flowers. You can also give it a utility move to get a DIY tiny bookshelf out of it for home wall accent. This would be much appreciating too for cottage and farmhouse interior and is much friendly too with modern environment of home.